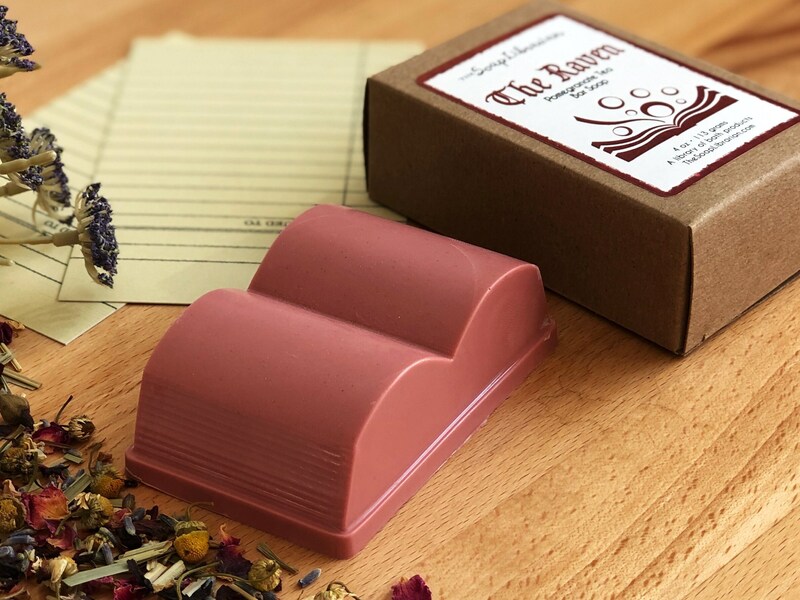 Each bar of soap is shaped to look like an open book. There are even small ridges on the sides to represent pages. It is handcrafted to leave your skin soft and smooth. The fragrance blends together pomegranate with fresh tea, twists of orange, cinnamon and vanilla. 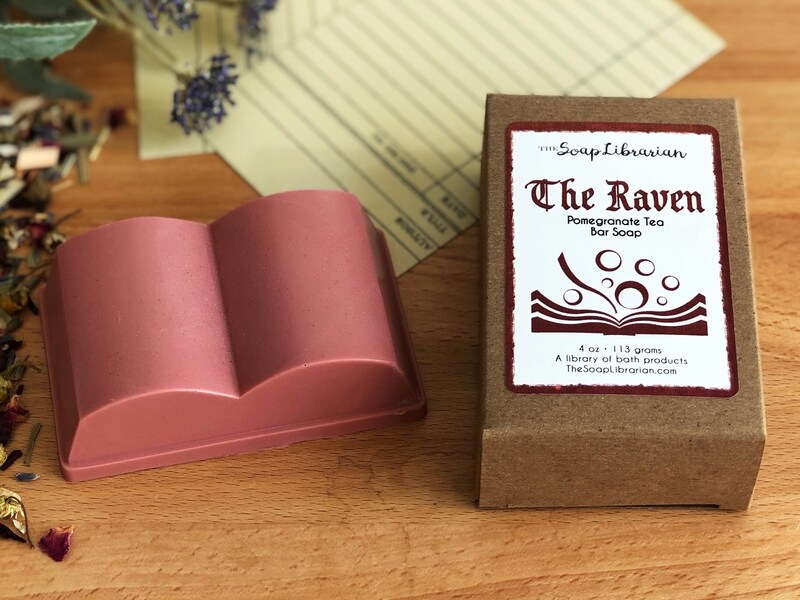 Each bar of soap measures about 3" x 2" x 1" and weighs 4 ounces. This is a unique item that is great for those book lovers in your life. All of the scents I purchased smell so good it is almost a shame to use them in the bath. Purchased as gifts for library staff and several friends. I may have to keep one for myself. The Soap Librarian was awesome to deal with and the order came quickly. Would definitely order again.